With Thermoprotect outdoor and protective heating solutions you can protect your home from the cold this winter. Thermoprotect frost protection kits are the perfect solution to prevent pipes and gutters from freezing. The range of frost protection cables are designed to protect water and boiler condensate pipes from freezing during cold weather conditions. Suitable for both metal and plastic pipes the smart self-regulating cable limits its own output along the entire length preventing hot spots and unnecessary over heating. Install Thermoprotect to help prevent frozen boiler condensate pipes and boiler failures this winter. 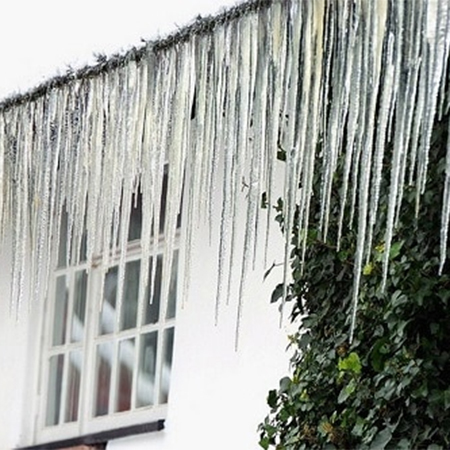 Thermoprotect can be installed in gutters and downpipes to prevent costly damage caused by snow and ice accumulation.